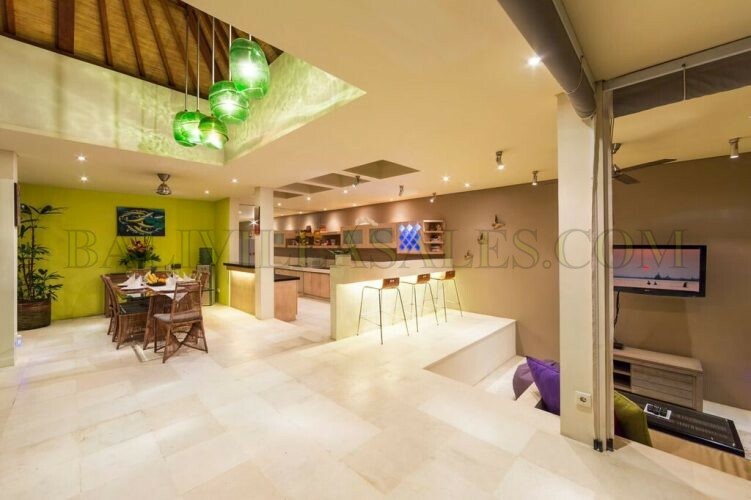 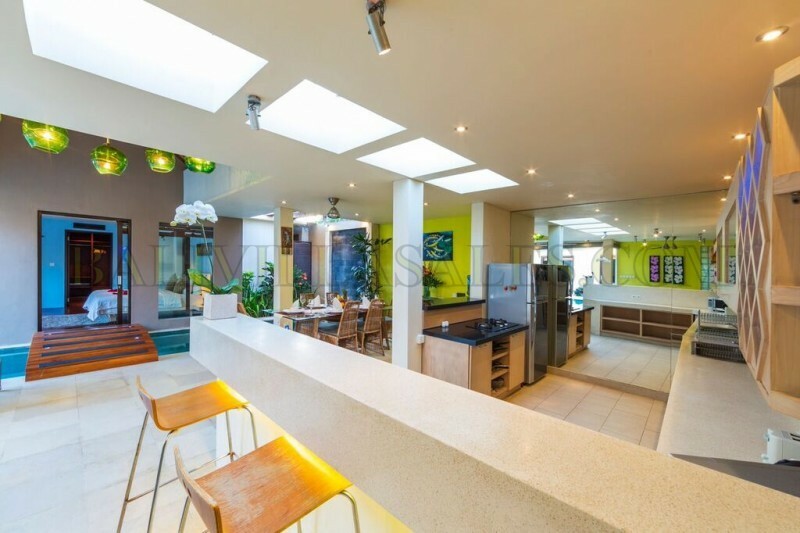 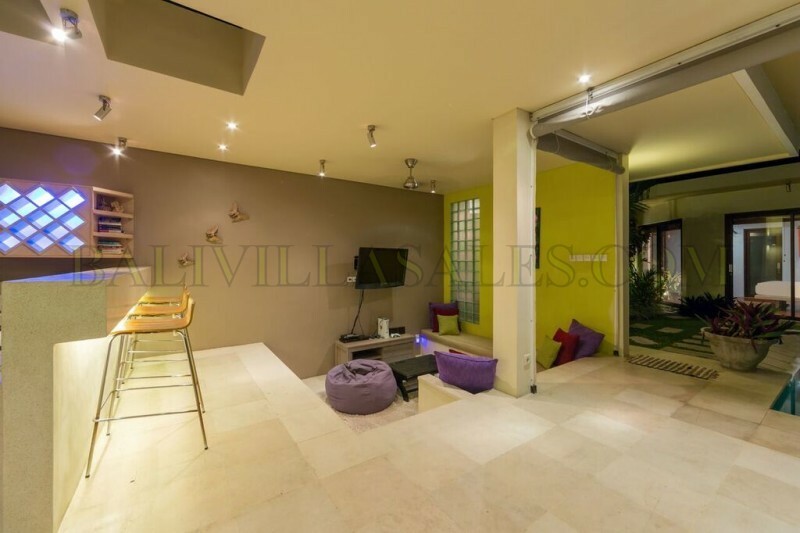 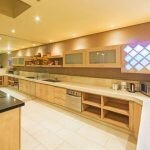 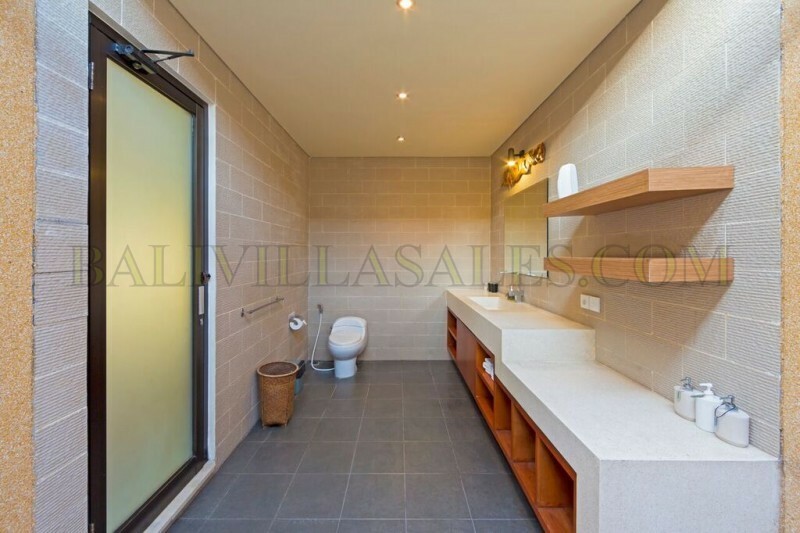 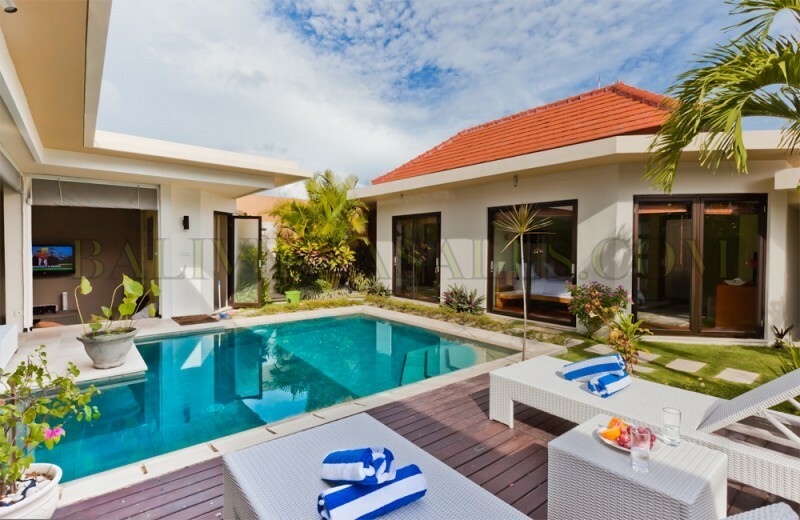 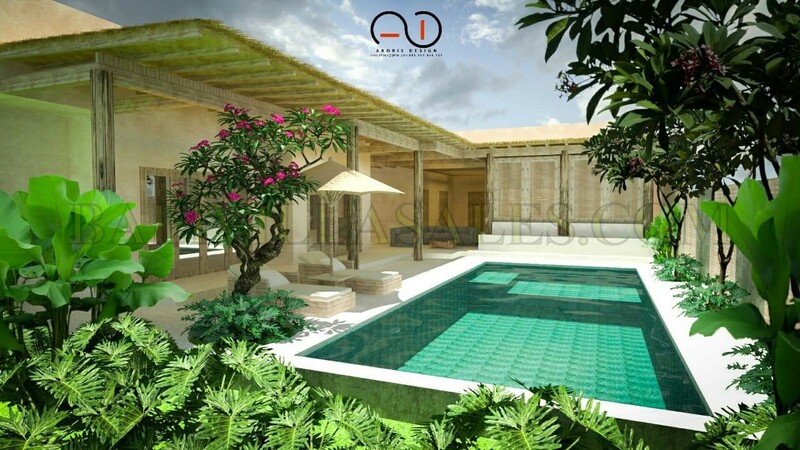 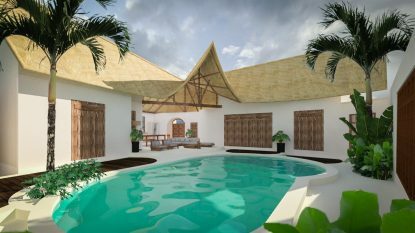 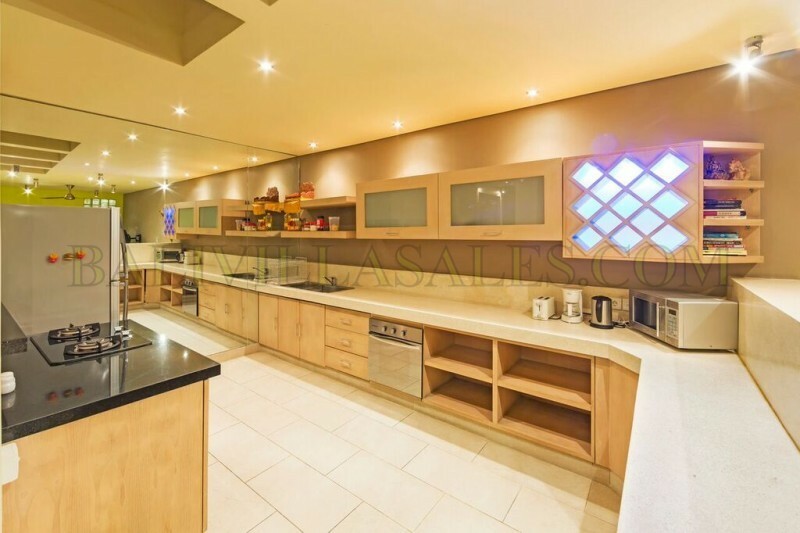 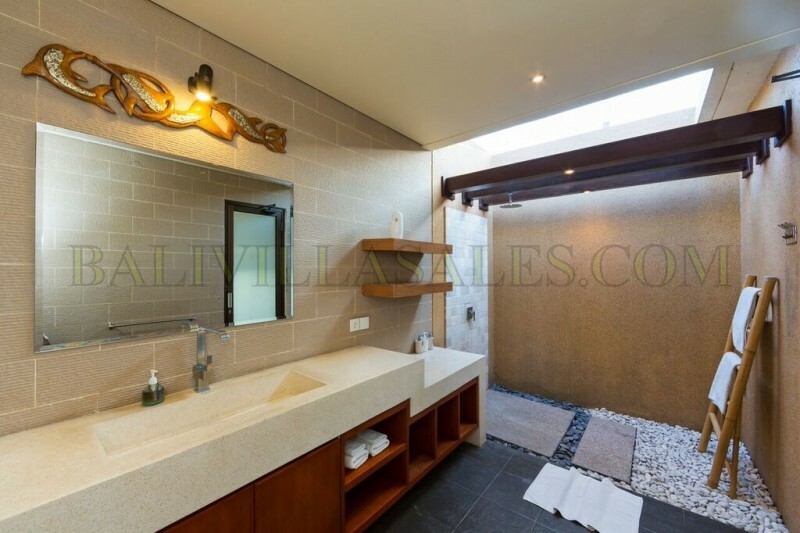 This is a modern three bedroom villa built to provide comfort and luxury. 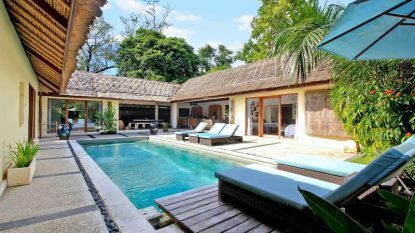 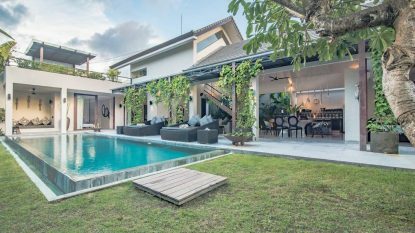 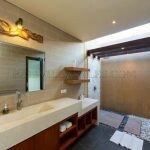 The villa has private swimming pool, sun-tanning deck, gardens and ponds, private garage for a car and a few motorcycles, staff quarter, security guards and butler service. 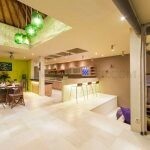 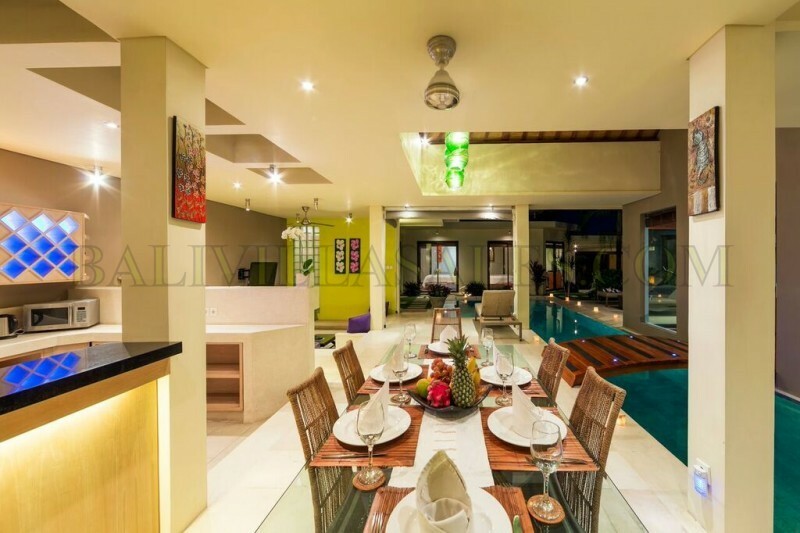 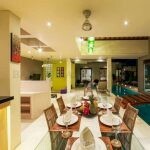 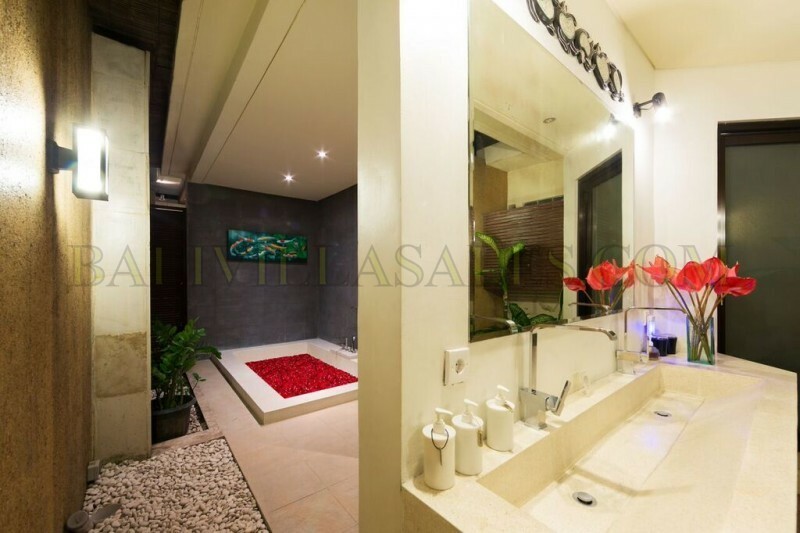 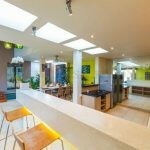 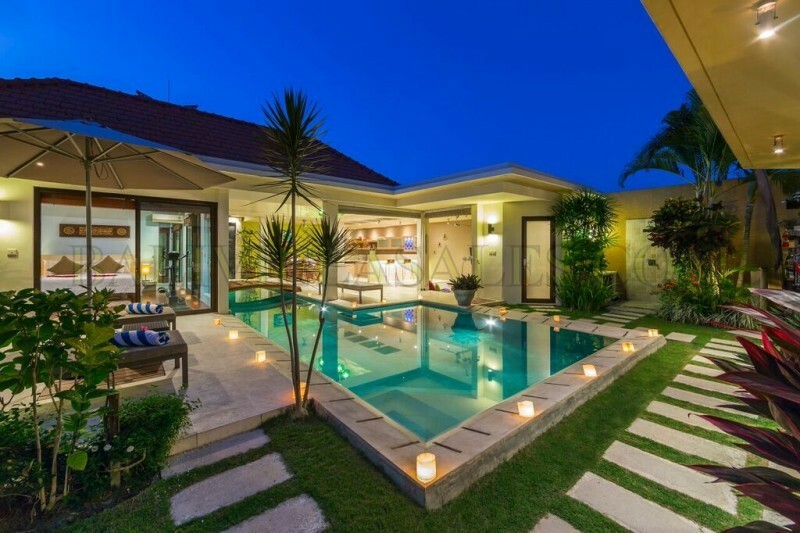 The location is in Umalas area, easy access to downtown Seminyak and short walking to the nearest restaurants.